When there is a vacancy first out and the extra board is exhausted the AVR will begin to call those in “OK” status when you refuse the call, he/she will be placed on a 6 hour no call for open vacancies. This means the next time there is a vacancy you will not be called for a 6-hour period, unless your turn stands for the call. For this process to initiate in you can either not answer the call, select the option to refuse the call or simply listen to the prompt by the AVR “Attempting to fill vacancy” then hang the phone up. Under the above 6-hour no call you can be called again if you are being called under another set of vacancy procedures, i.e. being called to protect another board’s vacancy. This will start a new 6-hour timer under that vacancy process and so on. If under the 6-hour no blanket calling you can still be called for your turn and are expected to take the call. I hope this helps ease some of the burden we are all under with the endless calls in the night and while trying to get rest, no process that involves CMS is flawless, I am sure there are going to be instances where this fails. 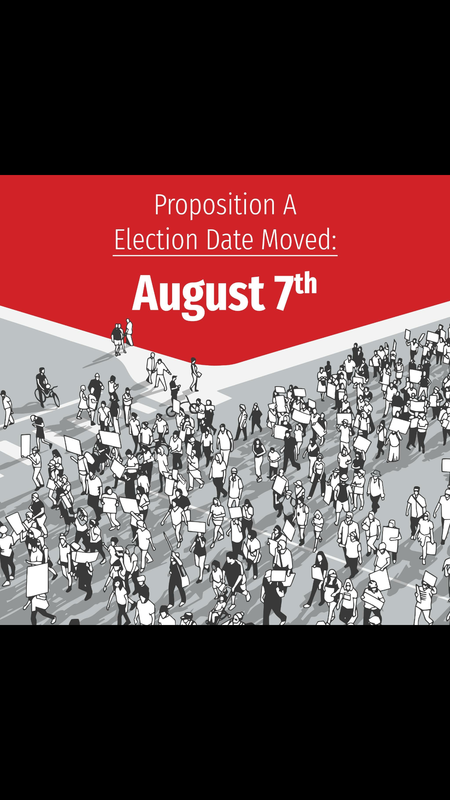 Do your best to let your Local Chairman know of the issue or send me the details as soon as possible. This is currently in place as of 6/5/2018 for all Engineer Boards in the St. Louis HUB. If there are any questions, please contact your Local Chairman or myself. 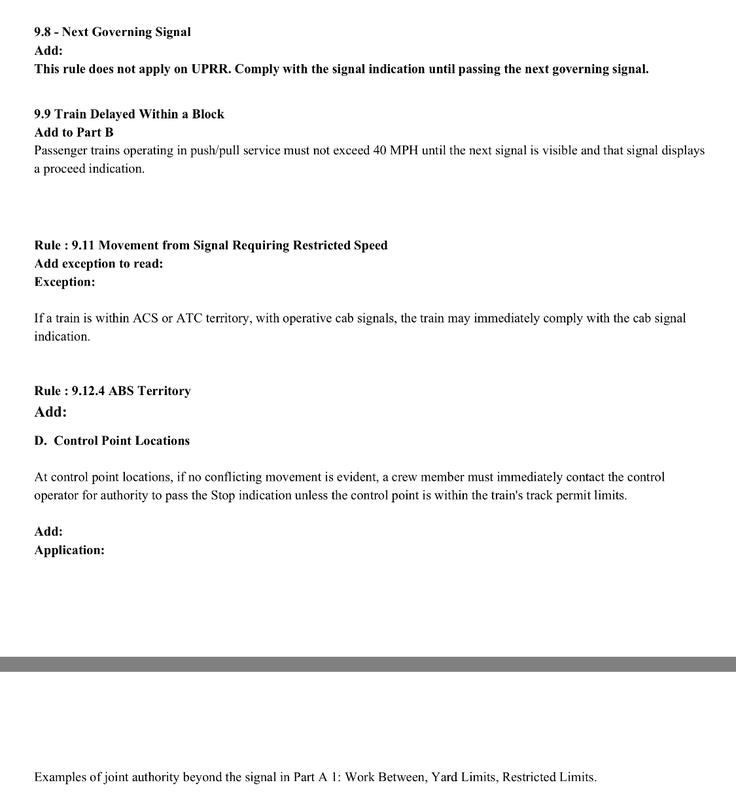 The exceptions for The Next Governing Signal Rule and Delayed In The Block with PTC are gone. So if your next signal is more favorable than the one you are running on, your speed cannot be resumed until you knock it down. Delayed in the Block depends on CTC or ABS. CTC: Prepared to stop at the next signal until that signal is visible and it is some type of proceed indication. ABS: Restricted Speed until able to see the next signal and the track to that signal and it is some type of proceed indication. PTC does not relieve you of these requirements. DO NOT RELY ON YOUR PTC DISPLAY. Since the last post concerned securement at a few locations, I thought I’d continue with another securement topic. Many people still have questions about securement at the A&S and the Cotton Bet Yard. The question that always comes up is whether or not a securement test is required. First of all we need to look at the A&S bulletins and general orders. The A&S Timetable, General Orders, and Superintendent bulletins can be accessed through MYUP. On the left hand pop-out tab, click on Reference and the Rule Books. Once this opens click on Books, then Miscellaneous Books. The drop down menu on this page is where you can access the A&S documents. The securement requirements are in the Alton and Southern Bulletins. The question that always arises is whether or not a securement test is required. The short answer is that it depends on whether or not you leave the engines attached. 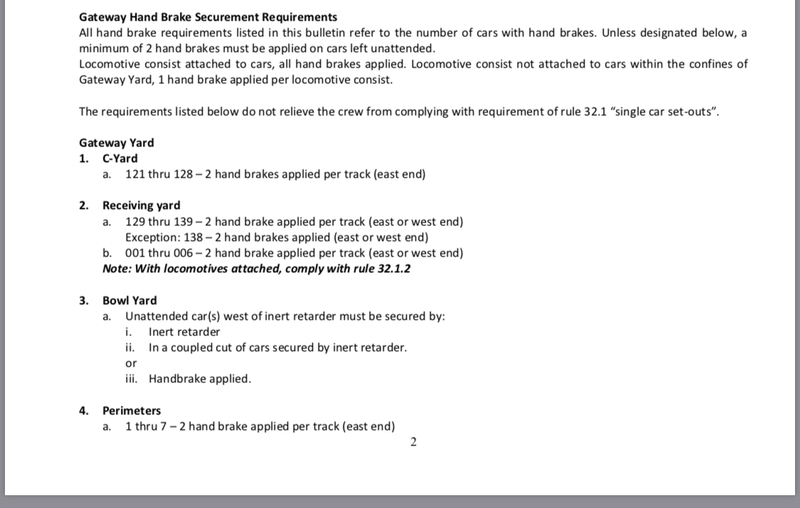 The bulletin says that 2 handbrakes are required in the receiving track, perimeter track, 627, 628, and SSW Yard 7 through 15. This is the secondary procedure which does not require a release test. If the instruction said a minimum of two, at least two, or a sufficient amount, then a securement test would be required. 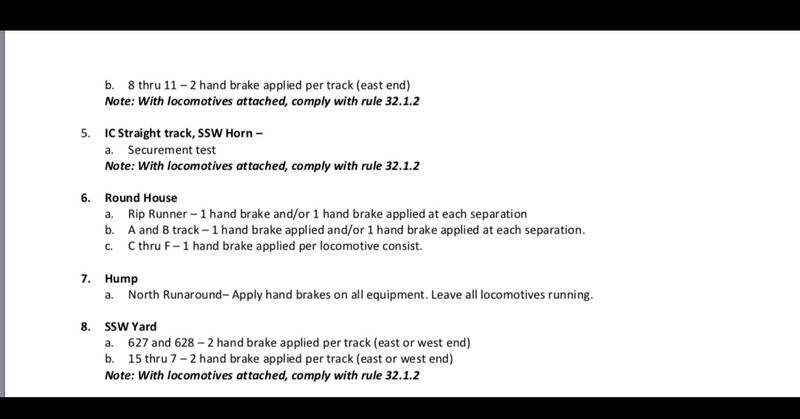 The instructions also said to comply 32.1.2 with the locomotives attached to those tracks. In this case you would tie down at least two cars, test, and then secure the power. Remember to leave a completed securement checklist as well. If leaving a train in the Cotton Belt, tracks 1 through 6, comply with the UP Superintendent Securement Bulletin. I spoke with Kevin Watts regarding the question about securement and engines counting. He said that locomotives count at all of these locations listed. Remember that all locomotives must be secured and if you only have one locomotive, you will have to tie down one car too. I wanted to add some information to the piece I put out about Davis Junction and PTC. I covered what to do to go from the industrial lead to main but not how to leave the main onto the industrial lead. First of all, before entering TWC territory with PTC, make sure to go into your Mandatory Directives menus and verify that your track warrant appears in the Authority menu. If your track warrant limits are from Barracks to Davis Junction, you will see a red hash box on your PTC screen at Davis. As you approach Davis Jct. the PTC screen will prompt you for which way the switch is lined. Do not push it yet. If you push it too soon you will have overridden the stop protection preventing you from exceeding the limits of your track warrant. This system will let you get fairly close. Once your conductor lines the switch for the industrial lead, simply indicate that the switch is lined to the right and the red hash box will disappear immediately. No five minute wait required in this circumstance, by rule or PTC. Most of us have encountered this, but I thought a little refresher would be helpful. Be sure to check your messages on MYUP. There’s a one pager in there about how to get by Davis Jct. southbound off of the Lesperence Industrial Lead. At Davis Jct. there are a couple rules that come into play. 9.17 - Entering the Main Track at a Hand Operated Switch and 8.9.3 Part B - Hand Operation of a Spring Switch Before Making a Trailing Movement. GCOR 9.17 details the process for entering the main track at a hand operated switch and Part B details the exceptions to when waiting 5 minutes or hand operating a spring switch would not be required. With PTC, even though you may have a restricting signal to enter the main, you will still have to wait the 5 minutes. You do not have to hand operate the spring switch or get any type of authority to pass the signal . If you have your track warrant, simply select the track you’re on and wait 5 minutes. You will need to be fairly close to the signal within 1,500 feet, but you do not need to pull closer than 400 feet. This is giving time to wake up the PTC system. After the wait, the red hash beyond the switch will go away and then you can go. Do not take it upon yourself do a soft cut-out to bypass the process. You cannot do this on your own without authority from the dispatcher. There is one more critical part of the process not to forget if after waiting the 5 minutes and the red hash has gone way. If you do not meet one of the exceptions to hand operating the switch and waiting the 5 minutes, PTC does not relieve you of this. You must still go through the process. Remember with TWC/ABS, trains going the same directions can have the exact same limits. If you do not follow the process correctly, you could end up entering the main in front a train with limits from Iron Mountain Jct. to Barracks’s. If you do not meet one of the exceptions to hand operating the switch or waiting the 5 minutes you have to look at 8.9.3 B. The process for establishing block signal protection with a spring switch is a little different. For example, let’s say you have a track warrant to enter the main at Davis Jct. with Box 3, Proceed from Davis Jct. to Barracks. As you approach Davis you see that the signal to enter the main is a Stop Indication. If you do not meet any of the exceptions listed in 9.17, this would be the process. In this case you do not need to call the dispatcher because he has no control of the signal. You simply stop short of the signal, walk up and line the switch for your movement, and wait 5 minutes while standing at the switch. After the 5 minute wait and the red hash is gone from your PTC screen, pull the engine beyond the signal but not the switch, line the spring switch back normal and proceed at restricted speed to the next signal. Let’s say you come up to Davis Jct. with a proceed track warrant, same limits, and the signal is a restricting. Although normally you would not have to wait the 5 minutes, PTC will still make you wait. In this example you would not have to hand operate the switch. Let’s look at one more example. In this circumstance you have a track warrant with Work Between limits and the signal is red. In this example you meet one the exceptions in 9.17. Without PTC you would simply stop and enter at restricted speed with no 5 minute wait. If you have PTC, you must select your track, wait the 5 minutes for the red hash to go away, and then go. No need the operate the switch in this circumstance either. Hopefully this helps to clarify Davis Jct. and PTC. If you have any further questions, you’re welcome to ask me or one of the managers for clarification. Read more about PTC and Davis Jct. They are back to using Drones to FTX Test as of May 1st. Did You Know that when using PTC when passing a signal requiring restricted speed, you must be at 16 MPH or slower. Did You Know that when using PTC and operating at restricted speed that the system will not allow you to exceed 20 MPH by even 1 MPH. Did You Know that if the PTC system stops you because you failed to comply with the prompts that it could be handled as a critical rule violation. Did You Know that PTC cannot see a red flag, rear of a train, improperly lined switch, derail that is on, or other obstructions. It is also still up to you to operate at a speed that allows stopping within half the range of vision. There are few rules to keep in mind when operating at restricted speed with PTC engaged. Simply put, if you fail to control your speed or slow down and the PTC system puts you into a penalty brake application, it is a critical rule violation. The system will provide a warning at 19 MPH. The system will stop you at 21 MPH. The system will ask for switch alignment approaching hand operated switches. The system will stop you if it predicts an overrun. Restricted speed until your leading wheel pass the next signal is required. When entering a block between signals. Movement in the opposite direction from which the block was entered. Unlike delayed in the block and next governing signal, there is not an exception for PTC to this rule. Normally when we swap crews and the crew tells us what the last signal was, we may operate under the delayed in the block rule. However, when operating with PTC, the system does not know what the last signal was. You must operate at restricted speed until you knock down the next signal. This applies even when you get within 1,500 feet of the next signal, the system recognizes that signal, and it shows favorable with a clear block beyond it. It is important not to forget this at Dexter and Jefferson City. You may be able to see the signal through the trees, but there is still a little distance left that you cannot see the track to between you and the signal. A red flag could very well be sitting in front of the signal around the corner. When a train passes a signal requiring restricted speed, the train must move at restricted speed until its leading wheels pass the next signal or the end of the block system. Unlike delayed in the block or next governing signal, there is not an exception for PTC to this rule. This rule applies whether you have PTC or not. Remember, when you pass a restricting signal, delayed in the block does not apply. I can think of many times when this could come into play, here is one example. On the Chester Sub, a northbound train ahead of you is stopped at the crossing before ICG. To pull up the crossing behind that train, you pass the block signal at 12.2, which is a Restricted Proceed. As that train moves, you pull up to the crossing at ICG. After sitting for a few hours, the signal clears up as well as the PTC system. It is imperative to remember that you passed a Restricted Proceed at 12.2. If you have a light train with a lot of power, it would be very easy to exceed restricted speed before you pass the next signal at ICG. There are many places on the service unit where this scenario takes place all of the time. After sitting for several hours, it can be easy to lose our situational awareness. A conductor I have worked with gave a new hire some good advice to adhere to anytime before moving. Take a minute to regroup. What was the last signal and let’s look at our bulletins to make sure we’re not sitting in or near a slow order or Form B. When the PTC display information does not conform with a wayside signal indication, maximum authorized speed, mandatory directive, Timetable, or special instruction, be governed by the most restrictive. This rule is what keeps us at restricted speed when swapping crews and equipped with PTC. Even though the last crew told us that they came in on a clear and we would normally only be prepared to stop at the next signal. However, the PTC system is keeping us at restricted speed until our leading wheels pas the next signal. Because of 18.6.1 we must comply with the most restrictive. There is one single most important aspect of operating at restricted speed that is critical to remember. PTC cannot determine a speed that allows stopping within half the range of vision. That is still your responsibility. Keeping these few rules in mind when restricted speed will help us all stay compliant and safe. If you have any other questions about PTC or any other rule, feel free to ask me or a manager.